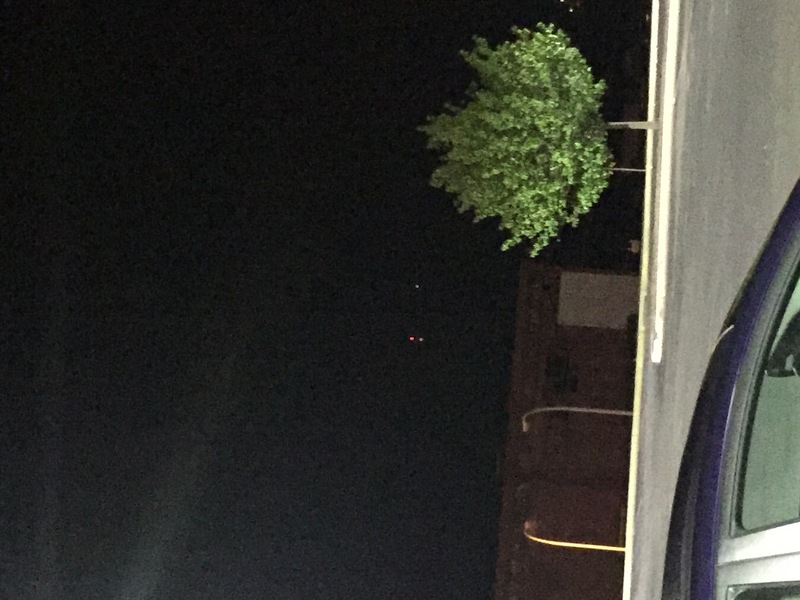 My mom, my sister and, myself were driving back to my sisters apartment when they told me they saw a ufo in the the sky. 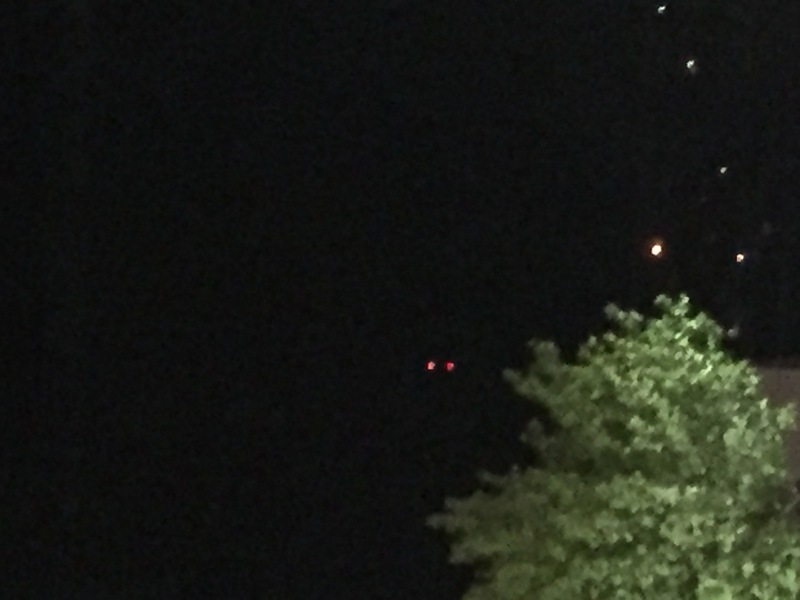 i was sitting in the backseat on my phone, immeadiatly i looked up and sure enough there was a huge triangle hovering over a tall building it had two red lights in the rear and one white light that would flash on and off. i could see the craft slowly turning and the craft soon vanished. we continued driving and we saw about 3 triangles hovering over the church we did not stop driving to look however and continued on our way home when we got back to the apartment from the third floor balcony we could see another triangle hovering above the tree tops within half a mile of the apartment. looking very closely i could see dim beams of light coming out from the craft. also if i remained very silent i could a very faint humming coming from the craft. the triangled hovered there for at least four hours, i went to bed, the next morning it was gone.